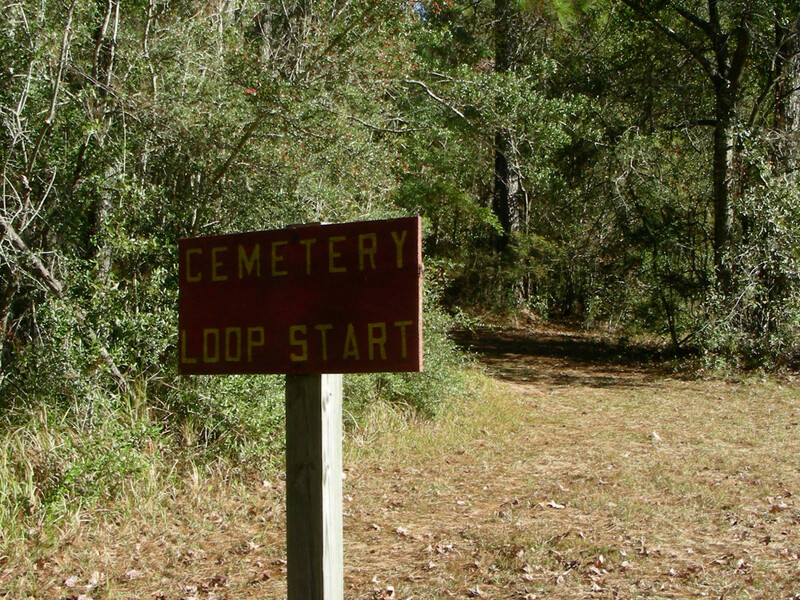 The Cemetery Loop Trail starts at the sports field parking area and connects to all of the other trails in the park. One of the many boardwalks that cross boggy areas on the trails at Chickasabogue Park. 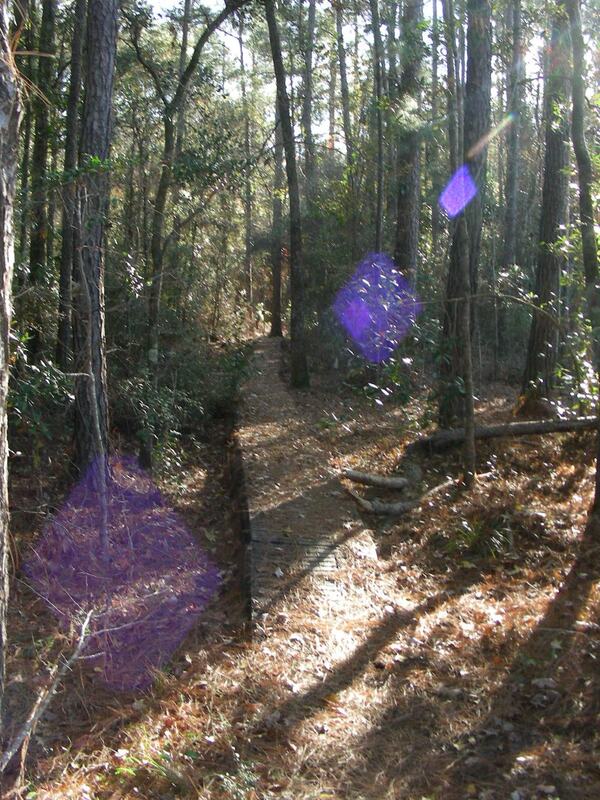 You will get a great workout on the 14 miles of trails at Chickasabogue Park. This county managed park has several challenging single track paths for experienced bikers and some easier trails for beginners all with roots, rocks, and swales to navigate. There are 12 loop trails that total 14 miles in length. They are all interconnected to make loops of various lengths. Mosquitoes and yellow flies can hamper your trip from late spring through summer. One of the best places to mountain bike on Alabama’s Gulf Coast, Chickasabogue Park offers over 14 miles of trails with varying degrees of difficulty, all intertwined to make countless loops so you never have to back track on the same path. The paths are root-strewn with a few rocks and plenty of swales, so you can do a little mudding. There are also plenty of boardwalks over wetlands and bogs to make the trips even more interesting. To help with avoiding hikers, and to keep the trails maintained, several of the trails alternate the days they can be used and the direction. For a great mountain bike trek on Alabama’s Gulf Coast you need to check out Chickasabogue Park. In fact, many riders call this the best set of trails in the Mobile area. The park offers over 14 miles of trails with varying degrees of difficulty, all intertwined so you can make countless loops and never have to back track on the same path. The trails are rated as intermediate level with just enough technical challenge for experienced bikers but with trails that even enough for beginners so they can get their feet wet in the sport. The paths are root strewn with a few rocks, some sandy patches, some hills to climb, and plenty of swales so you can do a little mudding. There are also several boardwalks over wetlands and bogs to make the trips even more interesting. The park alternates the days that you can bike certain trails. This helps keep the trails from wearing down from over use. They also change the direction of travel on several trails making it easier for you to watch out for hikers who share the paths (hikers are asked to walk the opposite direction of bikers.). The trails are marked with painted wooden signs or paint blazes, each color indicating which trail you’re on. Whether you are an experienced biker or just learning you will find something to love on the trails at Chickasabogue Park. There is just enough technical challenge including roots, rocks, sand patches, hills, and muddy swales to keep veteran cyclists on their toes and but enough beginner trails to give novices a good taste of what mountain biking is all about. 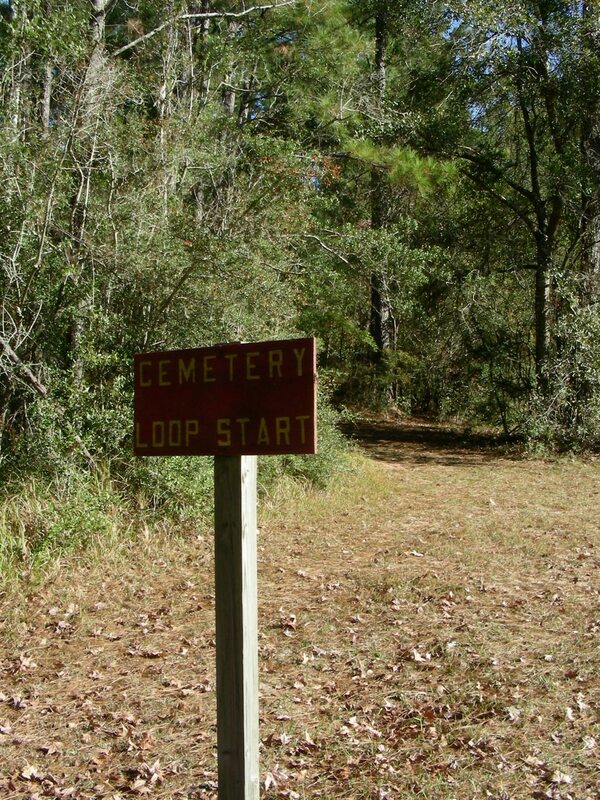 For the most part everyone will enjoy the quiet and peacefulness of the forest except along the east side of the Cemetery and Beach Loop Trails and the west side of the trails east side of I-65 where the highway noise can be quite loud. From Prichard, Alabama, at the intersection of I-65 at exit 8 and St. Stephens Rd (US 45) take St. Stephens Rd. northwest 0.5-miles and turn right onto Elba Ave. Travel 0.5-mile and turn left onto W. Main St. Continue 0.2-miles and turn right onto S. Gould Ave. Travel 0.5-miles and turn left onto Whistler St. In 1.2-miles turn right onto Aldock Rd. In 1-mile you will come to the park’s pay station. After paying your fee and picking up a map continue straight 0.2-miles and park at the sports field parking area. Most of the trails can be accessed from this location. For the secondary trails on the east side of I-65 continue straight another 400-feet and come to a “Y” in the road. Take the left fork and drive 0.4-miles. Park in the lot next to the boat launch. Access to the east trails is under the I-65 bridge. The park is open from 7 a.m. to sunset. These trails are shared with hikers so be aware. As always, helmets are required.